Established in 1969, Gianneschi Pumps and Blowers is an important market leader in the international marine business supplying pumps and blowers for luxury boats, work boats, and small military units. 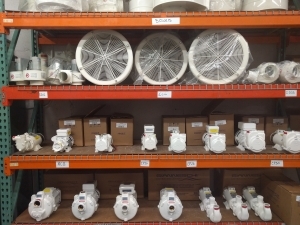 Gianneschi can provide individual products or complete packages of pumps, water pressure systems, blowers, water heaters, engine pumps, air compressors, and dampers. Gianneschi technical department is constantly studying and developing innovative and technologically advanced solutions for a perfect match to the marine environment. All products manufactured are tested individually and only after strict controls are delivered to the customer. Each product is associated with a specific serial number that allows in every moment to figure out all components used in the production stages as well as any spare parts.Within the company, all performing tests are in accordance with the applicable regulations of the major shipping registers. The company operates according to ISO 9001: 2008. 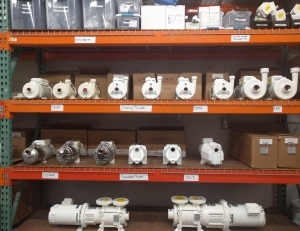 Ingham Engineering is a full stocking and servicing dealer for Gianneschi Pumps and Blowers in Fort Lauderdale, FL USA. Our team has combined over 20 years of experience in the marine field and in particular the Gianneschi brand. We have the knowledge to offer the best solution possible for all of your onboard needs. 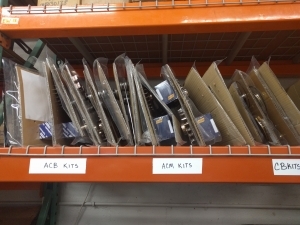 Only OEM parts are used in all of our repairs guaranteeing quality. Our vast inventory ensures you are back enjoying your vessel as quickly as possible. Our Engineering department specialize in all Gianneschi Pumps and Blowers with a detract training from the Gianneschi Factory.